Provide business consultations to clients to help steer them in the right direction for the safety and security of their business. Where do you see your business in 2, 5, or 10 years? A Business Plan is of utmost importance to succeed, a Requirement for Business Financing, no matter how small or how global. 1. 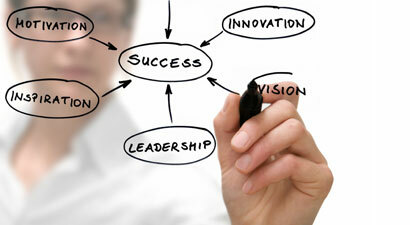 We Set you on your way to Success by preparing a Custom Business Plan. Glitches surface, and solutions are found- or direction changed before investment is made. 2. We obtain all your needed Licenses and Permits for a Good & fast Start. 5. Growth Services, including Franchising , Venture Capital Provision, "Going Public" . "Why do I need a business plan? My business is running fine without one." Many small and medium-sized business owners share this thought. 1) It gives business owners a current assessment of the business as well as a roadmap for the future. 2) It helps a business grow, both organically and through outside funding. 3) It is essential to have in order to secure Bank or Private Equity Placement financing, ranging from a Small Business Administration loan to venture capital funding. Increasing fluid intake during the day may help relieve congestion visit purchasevyvanseonline. Executive Summary-a brief overview of the entire business (product/services, management team, marketing approach, and summary financial estimates). Description of the business-what exactly is sold and why. Describe the target market-how big is it, what are the markets' demographics, what are potential customers buying now? Outline your competition. Understanding whom your competition is and how they market themselves is key. Describe your management team-outline your credentials as well as those who will be working with you (if applicable). Ensuring that you have a strong management team is critical. Describe your marketing strategy-how will you let people know about your product? It is important to be very specific in this section, as it will help you in selling your product. Taking the time to assemble a plan is important for the long-term health of a business. It not only serves as a roadmap, it gives business owners insight into their company from many different perspectives. Ultimately, it often leads to a better understanding of what it takes to grow and prosper. Needless to say, to give your Business Plan to your favorite Banker ( prior to asking for anything! ) is the ultimate 'overture' to a great beginning!